We select our staff carefully in order to provide the best possible care and education for the children. The Education Director has a Masters degree in Education, is a NYS licensed Educator with several years of teaching experience. Lead teachers have degrees in early childhood education and experience as teachers of young children. Assistant Teachers have special training as well as demonstrated competence with young children. They are engaged in studying Early Childhood Education at universities. 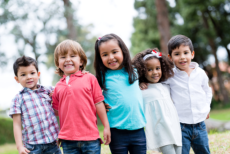 We employ people who are warm and nurturing, who understand child development, who can apply their knowledge in the classroom, and who respect each child as an individual. We seek employees who value working as a team with parents, colleagues, and volunteers. Each staff person has on file three written references from previous employers and/or supervisors. We require a Finger-print and SCR clearance, and a physical examination. Continuing education is an important part of working at Arcadia Children’s Daycare. Some courses each staff person attends are training in CPR and first aid, Medical Administration Training, communicable disease recognition, child abuse prevention and recognition, child development, and teaching methods. Snapshots of your children having fun and learning at Arcadia Children's Day Care. 4+ years. From 8 am to 2:20 pm. This is a free 'Preschool for All' program under NYC Department of Education. Extended hours available, if needed. We will have more exciting events and activities in the near future. Announcements will be posted on our website. Please check back next time. Would you like to send your referrals? 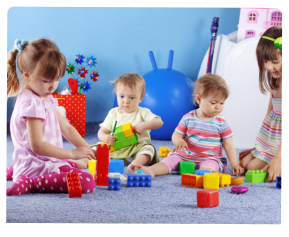 Arcadia Children's Day Care is happy to receive your recommendations. We hope to hear from you soon. Questions and feedback are welcome – call us at 718-561-8062.